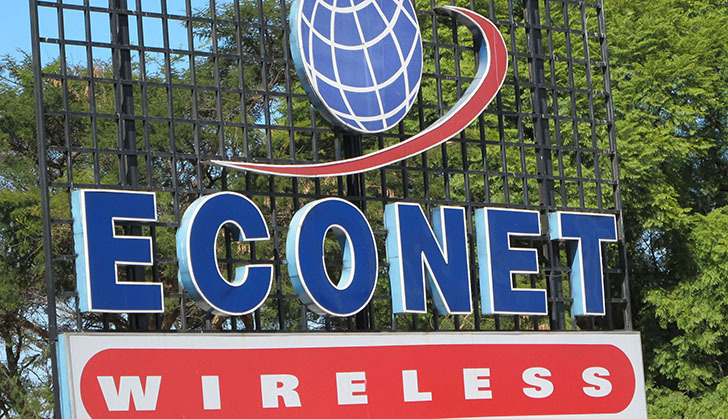 ECONET Wireless Zimbabwe has reported impressive $831,6 million top line revenue for the full year ended 28 February 2018, a 34 percent increase from the $621,7 million reported in the prior year. Buoyed by its aggressive pursuit of non-traditional telco products, the leading telecoms giant had 57,3 percent of its total revenue coming from its fintech, technology and data services. Its earnings before interest, taxes, depreciation and amortisation (EBITDA) rose by 51 percent to $340,8 million, up from $224 million in the previous year. Profit after tax (PAT) more than doubled to $132,3 million from $36,2 million in the previous year. The strong PAT came on the back of bold cost management measures, which saw the company's cost contributions holding steady at 62,4 percent of turnover, down from 65,5 percent in the prior year, and its debt to equity ratio coming at a healthy 7,7 percent, down from 18,3 percent in the previous year, and 33,7 percent in 2016. The results indicate that while capital expenditure went up from $32,4 million to $101,9 million —demonstrating the listed company's continuous re-investment in its business infrastructure and systems, cash flow from operations rose by 123 percent, from $246 million in the prior year, to $549 million, propelled by all-round growth in the company's revenue buckets, including voice. During the period Econet says it added more than a million new customers and has reported an increased subscriber number of 11,4 million up from 10,3 million in the previous year. This saw the firm report a jump in average revenue per user (ARPU) of $9,7 per customer up from $7,3 per customer in the prior year. The rise in the key ARPU metric shows that although Econet did not increase its price, it was able to grow its customer base and at the same time increase the value contribution of each customer owing to its broad product portfolio as a result of its foray into non-traditional services. Chief executive, Mr Douglas Mboweni, said the results, coming at a time Econet is celebrating its licensing 20 years ago, bore testimony to the robustness and resilience of the company's business model. "The last 20 years have been remarkable as we have seen our business evolve from being just a telecom to a becoming a full TMT (telecom, media and technology) player transforming the lives of Zimbabweans in a deep and meaningful way through a wide array of services," he said. "The results you see today affirm the robustness and flexibility of our business model based on our passion to offer solutions that meet people' needs." Mr Mboweni said his company will continue to deliver financial and economic inclusion to the general public and also facilitate the ease of doing business through its wide range of products. Econet has recently diversified its product portfolios to ensure provision of services in the financial services sector, agriculture, education, insurance and many other areas that touch people's lives and meet their needs. The results show that Econet's overall revenue performance was lifted by its solid fintech (EcoCash, EcoSure, EcoFarmer and data). The fintech revenue rose by 120 percent to $244,7 million, up from $111,1 million at the end of February 2017, with EcoCash subscribers increasing to eight million, from 6,7 million in the prior year. The company's data services posted continued growth in revenue contribution, customer usage (data traffic) and in new subscribers on the back of latent demand from new use cases, increased data coverage and growing smart phone penetration. Data revenue grew by 18,1 percent to $122,6 million, from $144,8 million the previous year while data customers increased from 6,1 million to 7,2 million at the end of the year under review. Finance director, Mr Roy Chimanikire, said the results showed that Econet's new business model was robust. "Our results show a 57,3 percent revenue contribution from non-voice products which is a clear validation of the great foresight our board and management have had in remodelling the company's strategy and making it 'future proof' by shifting from only offering traditional telco services, to aggressively innovating to offer new revenue streams from non-voice products and services," said Mr Chimanikire.